The many colors of Cuba come to life through the eyes of the people: Cuban artists, musicians, architects, dancers, fishermen, farmers and even baseball players. Now, Globus and Cosmos invite travelers to share in the customs and traditions of an island nation that’s been shrouded in mystery for 50 years with six itineraries for 2016, including a rare opportunity to cruise Cuba. The company’s portfolio of Cuba itineraries includes six (6) people-to-people tours, ranging from 9 to 17 days, including a NEW 9-day Cosmos Cuba Discovery program priced from $2,475. 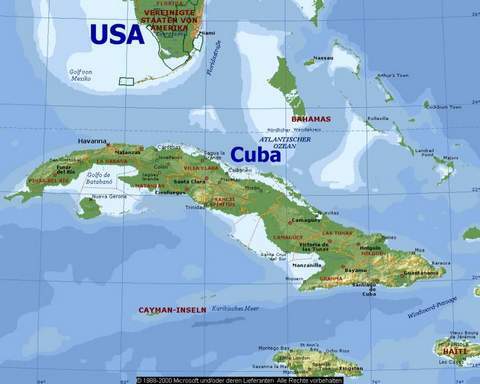 In addition, for the first time, Globus is inviting travelers to discover Cuba by Land & Sea with a NEW 10-day program cruising the Caribbean Sea aboard the MTS Celestyal Crystal,featuring port stops in Havana, Maria La Gorda, Pinar del Río, Cienfuegos and Santiago de Cuba. In June, Globus also unveiled a NEW faith-based, Spiritual Journey through Cubaprogram for travelers interested in the more religious side of the country and its people. Interacting with local fishermen and discussing their fishing practices and their community project that helps educate local children on protecting the environment. Walking the streets of historic Santiago de Cuba with a local architect and historian and discussing the different architecture styles, influences, and current renovation projects. Enjoying a jazz performance and then meeting with the musicians to discover and share the importance of music in everyone’s lives. Having dinner at a family-owned paladar and over dessert, discussing with the owner and staff the free-enterprise system in Cuba and the U.S.
Venturing through Camagüey’s Plaza del Carmen and admiring the sculptures of Martha Jimenez, the artist who lives, creates and teaches on that plaza, before visiting her home and studio to discuss the inspirations for her work, their importance to the community, and how art motivates people. “Each of these people-to-people encounters provide travelers once-in-a-lifetime enriching and enlightening experiences as well as a deep understanding of Cuba and its people,” said Nisbet. Group Voyagers, Inc.* is an organization licensed by the United States Department of the Treasury, Office of Foreign Assets Control (OFAC), CFR 515.565(b) and authorized to provide those who register as participants in our programs to visit Cuba legally for educational people-to-people interactions. Our unique itineraries for 2015-2017 provide a full-time schedule of people-to-people educational exchange activities designed to result in meaningful interactions between our travelers and individuals in Cuba. United States law requires that all participants in our programs adhere to the full-time schedule of people-to-people activities. *Group Voyagers, Inc., is the company that markets and sells the Globus family of brands.